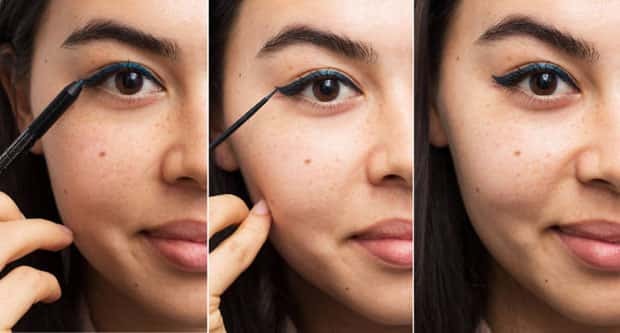 Here are 5 Genius Eyeliner Tricks that will help you to apply your eyeliner fast and perfect. 1. 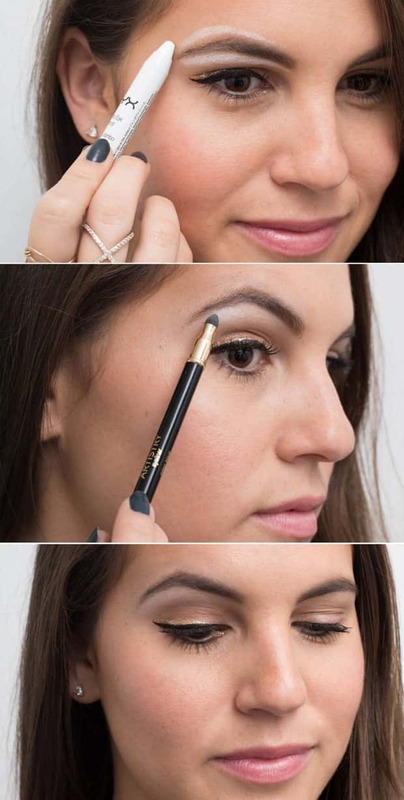 Use a pencil liner as a guide for your liquid liner. It can be difficult to get liquid liner on evenly, especially if you do not use it a lot. If you use a pencil liner to line your eyes first you can trace the line with liquid liner. 2. Line brows with white for an instant lift. If you line below and above your eyebrows with white eyeliner this will highlight your brow bones creating an instant lift. 3. Dot first for a straighter line. If you have trouble holding your hand steady when trying to draw the line this works really well. Simply draw dots first and then connect them. 4. Use skin colored liner to fix errors. 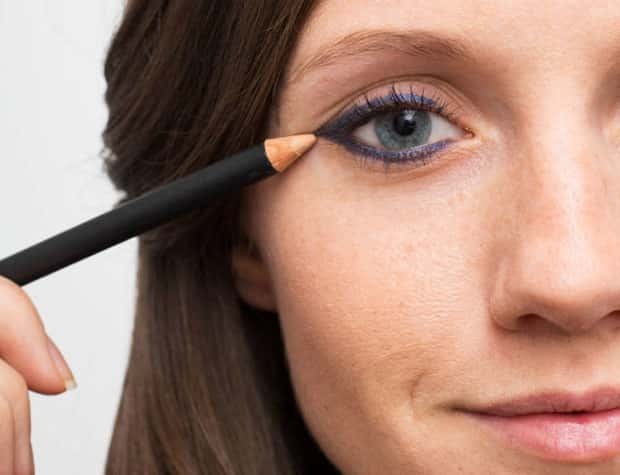 A skin colored liner is a great way to disguise any small mistakes. 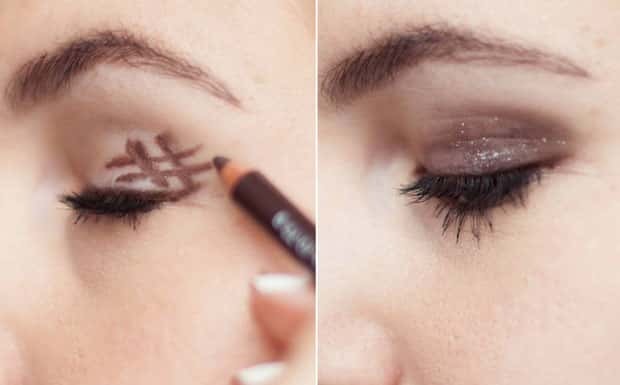 Draw a hashtag on the outer corner of your lid and smudge inwards for an easy smoky effect.